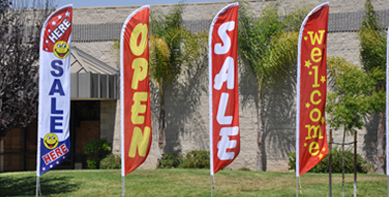 Put your message in all of the places it needs to be with eye-catching banners. 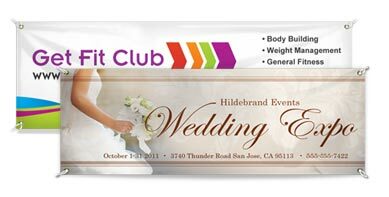 Banners draw attention to your product, event, business or organization affordably and effectively. Whether you display them indoors or out, hanging or in stands, vertically or horizontally, or full color banners make a statement. Tell us your challenge and we will recommend a custom solution that’s right for your needs. Draw attention easily with a giant message flag! Great for the front of your business or out by the road. These flags flutter & flap with a slight breeze. The unique design allows this flag to "fly" even when there is no wind.